Mugs are useful everyday items that can be personalized and given away for a variety of purposes. Virtually any design can be printed on mugs, presenting opportunities for not only business promotion but also unique gift giving. Every time the recipients enjoy a beverage in their new mug, they and others will see the design that clients select. Here is a deeper look at the potential applications for these mugs and the options available for clients who choose our Los Angeles same day mug printing services. Clients will find numerous uses for our personalized mugs. In business, these mugs can be given away as promotional gifts to clients or partners at trade shows and other events. By giving these mugs to employees, business owners can foster a sense of company pride in the workplace. Clients can also use our same day mug printing in Los Angeles to make gifts that recipients will cherish on birthdays, anniversaries and other occasions. Of course, clients can also create their own personalized mugs to show off at home or at the office. Clients have access to several options when they use our Los Angeles same day mug printing services. 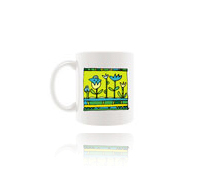 For example, we can place photos, logos or text on the mugs. A variety of colors, both matte and glossy, can be used. Although a vast selection of designs is available to be printed, our designers can also create new designs to the specifications of clients or embellish ideas that clients like. Our mugs are available in several colors and can be printed in runs ranging from small to very large. The mug options available at our Los Angeles same day printing shop make this item appropriate for virtually any project where practicality is just as important as uniqueness. The exceptional durability of our mugs ensures that the designs they display will have lasting impact on recipients. With same day mug printing in Los Angeles, clients eliminate long waiting that might delay their time-sensitive projects or gift acquisition for special events. Clients can contact us to learn more about our mug printing and options available for this service. © 2015 Same Day Printing Services. All rights reserved.